If you're looking for a wonderful way to relax while pampering yourself - then welcome to the all natural world of facial masks! Feeling a little stressed out by all the holiday doings? Then stop making excuses for why you don't have time for a mini spa date with your skin and start listing all the reasons why you should make time! Do the words refresh, renew, and rejuvenate bring a sense of calm? 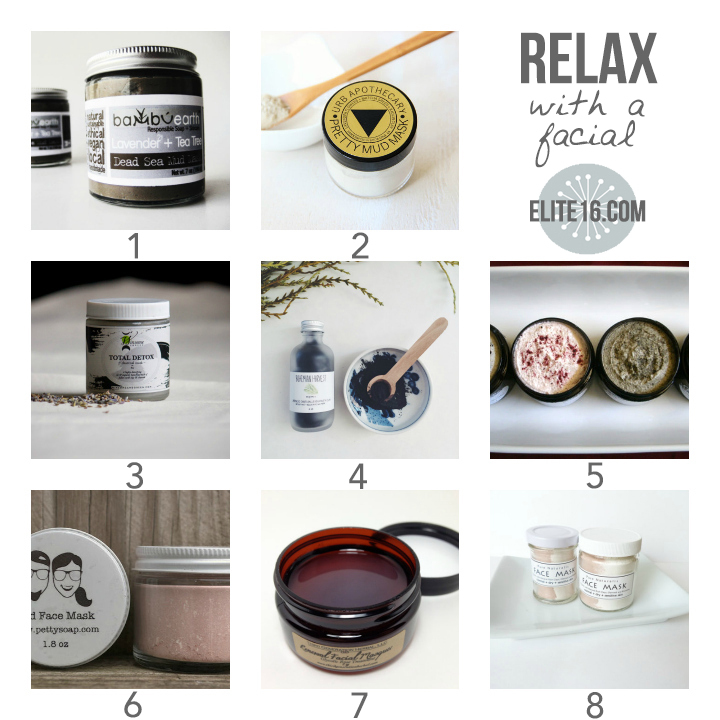 Following up on my post about Facial Scrubs, I've put together 8 wonderful handmade facial products for the next step in indulging your skin - does a Glycolic Rose Masque pique your interest? It does mine! So, let's get ready to face both Christmas and the New Year with radiant beauty! Are you with me? Of course you are! Etsy Gift Card :: Spend it IN Style!